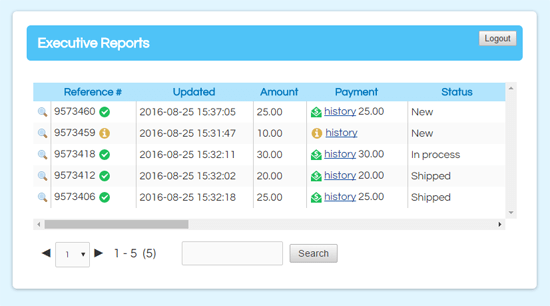 Posted on August 26, 2016 by Billy S.
A popular Formsite feature is our Results Reports area that lets account owners give access to the form results without giving access to the account. 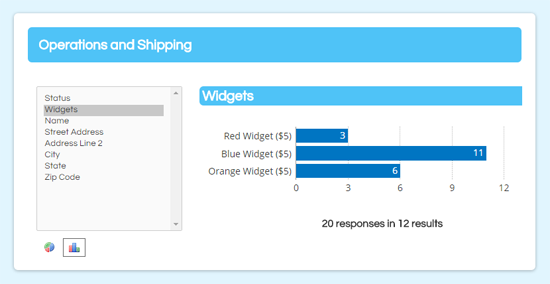 Creating a report will show links to both a table and a chart display, which allows the viewer to choose from a few different formats. Setting up Reports is as easy as giving the report a name and clicking the Save button (see the documentation page for a tutorial video showing the basic setup). Using the optional settings can expand the usefulness of the function. These settings include setting a password to restrict access, allowing edits to the results, and using Results Filters and Results Views for more focused reports. 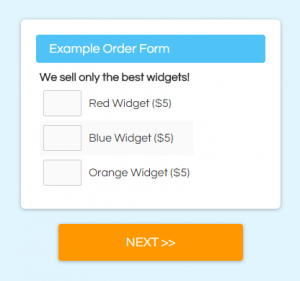 Say I have an order form and I want to automate the order processing and shipping, while also giving my sales department a real-time display of orders. I can make multiple Reports using different Results Filters and Results Views to show just the essentials. The best uses for Results Reports is to give associates access to the real-time results without needing to give access to the main account. Here are some examples of how to use Reports from the same form. This report should have the entire table regardless of the order status so the owner can see everything that happens. 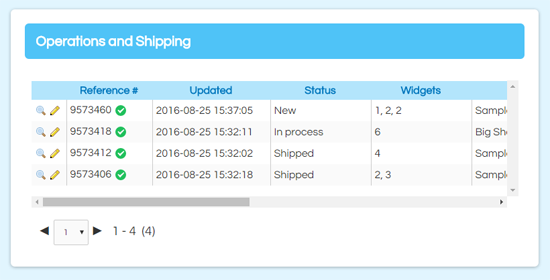 This report should only have the successful orders, order info, and shipping address. Compare with the Executive report to see the differences. This report should only show the email addresses for opt-in orders, regardless of the order status.